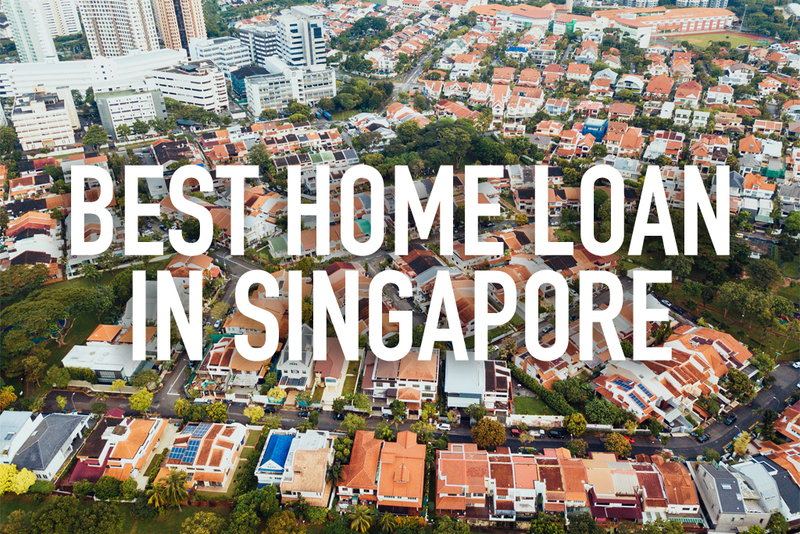 You are here: Home / Blog / Blog / What is the best home loan in Singapore in 2019 ? 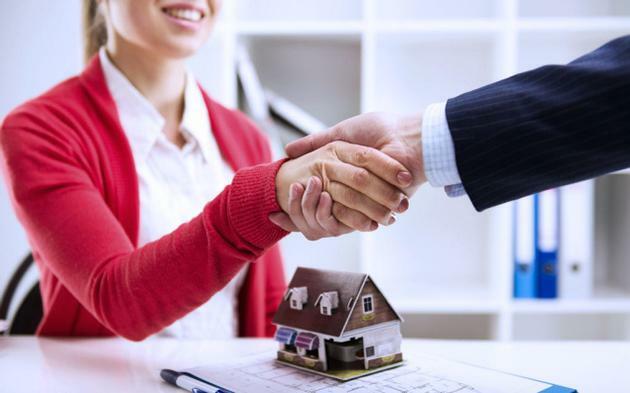 When it comes to buying your home, it goes without saying that we want to (and should) rack in as much savings as humanly possible and get the best home loan in Singapore. We are talking about something that takes 2-3 decades to pay off after all! It is possibly the biggest purchase of our lifetime. Here, we have gathered and analyzed over 100 mortgage loan packages across 16 banks in Singapore to help you find one that tailors to your situation best. The table below provides the raw data which includes all the housing loan interest rates in Singapore, updated almost real-time. You can click on the topmost row to sort it by interest rate, from the cheapest home loan to the most expensive one. However, as savvy consumers, we know that cheapest may not be the best. Since you are here because you are looking for the best home loan in Singapore, we are not going to leave you at this. Scroll down further or refer to the table of contents above to help you navigate your way through. Each table provides the breakdown of the bits and pieces of each home loan package that you need to take note of. Remember to consider your own needs as you go along. A home loan is very different from the typical unsecured loans you see, such as personal or renovation loan where the calculation is based on flat add-on method. Instead of looking at interest rate first (like most people do), it will be wise to shift your attention to ‘rate type’ instead. You wouldn’t look at airfares and exclaim,”why is this business class ticket so much more expensive than this economy class ticket !? ” would you? You understand that business class is more premium and understandably commands a higher rate. Likewise, the type of home loan you are getting determines the interest rate you should expect. Fixed rate bank loan packages come with higher interest rates than floating rates packages. SIBOR, SOR and the other unfamiliar looking names all belong to the category of floating rates. In a nutshell, there are 2 main categories: fixed rate and floating rates home loan. Here, we zoom into the best rates for each of the different type of property and homeowner. This table shows the best fixed rates during the current period. In this category, the 4 banks that emerge as winners are Maybank, HSBC, Hong Leong Finance and State Bank of India. Fixed rates home loan packages are popular because they provide the stability and security to hedge against other financial risks we may carry. The take-up rate is especially high during uncertain economic times. The security a fixed rate mortgage offers is offset by the higher premiums it commands. Fixed rates are usually more expensive than floating rates by about 0.3% annual interest. For a loan of $500,000, it translates to approximately $1500 a year. Fixed rates mortgages have interest rates that can be fixed for a period of 1 to 5 years, though in recent years, 5-years fixed rates have become a rare sight. The following table reflects the current best Fixed Deposit (FD) pegged rate for HDB. In this case, Standard Chartered (SCB), DBS, Hong Leong Finance and Maybank are offering more attractive rates as compared to the other banks. You might be wondering what are FD pegged rates? This means that your home loan rates will be pegged to each bank’s FD rates, which are dependent on the amount and duration of deposit placed. The number in FHR 8 implies that this particular home loan rate will be based on its prevailing 8-month Singapore dollar fixed deposit (SGD FD) rate. Note that when FD rates increase, so do the home loan interest rates. Ever since DBS offered the first FD pegged mortgage in 2014, this type of loan has become increasingly popular in Singapore. Banks are less inclined to raise FD rates as it represents a cost to them when they do so; the fact of this will be an advantage to homebuyers and borrowers when FD rates. Hence, FD pegged home loan rates, are kept consistently low—with FHR 9’s (now changed to FHR 8) highest at 1.5% only during the period of 2000-2001. Historical data also shows that the FD rates have not shown much variation over the past decade, unlike SIBOR rates which are relatively more volatile. With reference to the table below, it is recommended to consider Citibank’s loan packages if you are a prospective HDB buyer interested in loan rates that move in tandem with reference rates like SIBOR. The Singapore Inter-Bank Offered Rate, or more commonly known as SIBOR, is an interest rate whereby banks offer to lend unsecured funds to other banks within the Singapore interbank market. While this means greater transparency as SIBOR rates are readily available online, your interest payments can increase or decrease based on SIBOR rates and a review by banks every few months. As SIBOR rates are the same across banks, banks typically differentiate their SIBOR rate loans by having different spreads and incentives. In the case of SIBOR home loan rates, the relatively better ones are CIMB’s, Citibank’s and HSBC’s 1-month with a margin of 0.20% to 0.50%, and SCB’s 3-month SIBOR, with a margin of 0.20% to 0.25% (before Year 4). At the time of writing, the 1-month SIBOR is about 1.76342%, much higher than the current FHR 8 of 0.50%. With SIBOR rates so closely linked to the U.S. dollar (USD) and such rates are expected to increase due to U.S. economy’s recovery in the near future, perhaps we can explore and analyze other more predictable loans before making the final decision. For HDB home buyers, other than the offerings by the various banks in Singapore, you can opt to borrow the money for home purchase from HDB itself (Be sure to check out your eligibility first). It may be tempting to obtain your loan from HDB but it may not always be the best option. And when it comes to something as important as a home loan, you definitely want to do a bit more due diligence. HDB is not without its cons. Think about it, banks are commercial entities that require a huge amount of funds to carry out lucrative investments on their part. Hence they are willing to offer very attractive interest rates to get your business, not to mention that there are 15 other banks competing with them for your business. In such a competitive situation, consumers become the biggest beneficiary. On the other hand, HDB offers you stability in rates at the expense of higher interest payment. For more information, check out our ultimate HDB home loan guide to better decide what’s best for you. When it comes to financing your property purchase, HDB and private properties differ in terms of down payment, cash requirements, loan quantum, etc. For private properties, the following banks appear to be providing borrowers with the best-fixed rate home loan packages. With interest rates ranging from 2.20% to 2.48%, you will have a monthly mortgage repayment sum of around $2,168 to $2,239 for a 25-year home loan of $500,000. Typically, fixed-rate loans in Singapore hold interest rates constant for up to 3 years. Thereafter, interest rates become “floating’ and will vary daily or periodically according to reference rates like SIBOR. Similar to FD pegged rate loans for HDB which we mentioned earlier, HSBC, DBS and SCB have the lowest interest rates for private properties—with the same interest rates and level of loan’s flexibility such as lock-in period, etc. For this category of loan, do note that these loans are strictly for completed properties and not applicable to buildings under construction. If you are keen on loans for buildings under construction, keep reading as they will be elaborated later in this article! As mentioned, there are 1M and 3M SIBOR rates available. If you foresee that interest rates will rise in the future, choose a long-term rate. Conversely, we would advise you to go with a short-term rate in a declining to flat rate environment. Mortgageone feature is strictly for Completed Property. Private properties buyers form the largest group of all consumers looking at bank loans in Singapore. Your choice of home loan will really vary vastly on an individual level. For example, if you are well-read with the trends around the economic situation in Singapore and are very optimistic about its future, you will opt for the floating rate interest packages so you can take advantage of the lower interest rates that soon follows. Having a strong understanding of the happenings of the world would be most helpful as well because Singapore’s economy is closely tied to that of the rest of the world, particularly US. On the other hand, if you are more conservative or think that things are going to get gloomier in the foreseeable future, then you obviously want to lock in your current rates as long as possible with the fixed rates packages. As you might have noticed in the table below, board rates, though belonging to the category of floating rates, are not pegged to any reference rates. The rates are determined internally by the banks. For that reason, some people find them to be lacking in transparency and less favourable as a loan option. However, the rates can get very attractive at times. Be sure to check on them often for the best deals. At this point, Maybank appears to provide the most attractive rates of 2.05% in the first year. Full redemption penalty 1.50% Nil, if loan is fully redeemed due to sale of property or fully paid up with own funds. While properties that are still under construction may have more risks than a completed property, developers often incentivize buyers with per-square-foot discounts, absorption of stamp duties or other administrative costs. Besides the monetary savings arising from an early purchase, you may be able to benefit from a lower interest rate as well—BUC loan rates are not necessarily higher when compared with loans for completed properties. In Singapore, the average annual interest rate is about 1.3%–1.6% for properties under construction. From the table, we can see that the interest rates currently charged by the banks mentioned (with the exception of SCB at 0.97%) are slightly above this average. Besides the possibility of conversion when the property receives its TOP, note that there are loan packages that are not valid for buildings under construction. If you are getting a HDB flat and securing $500k in loans, monthly interest rates can start off as low as about $1750, with about $667 going into interest repayment at the initial phase. If you are buying private property and securing $1mil in loans, monthly interest rates can start off as low as $3403 with about $1167 going into interest repayment, assuming loan tenure period of 30 years. As for the type of rate, fixed rates and fixed deposit pegged rates packages look to be good choices at this point. Your choice of bank boils down to conditions that you need to fulfil and perks you prefer to have. However, bear in mind that rates move very rapidly. This table* offers a ballpark but to get the latest rates, you can speak to our mortgage advisors. Do note that you need to check your TDSR to make sure that you are allowed to borrow the amount you require! Don’t forget to get your Approval-in-Principle(AIP) before you go shopping for a property. This will prevent any unpleasant surprises you may be in for. I would love to say that there is a financing plan tailored especially for foreigners, but there simply isn’t. Even so, we still included this section because we have many non-locals asking what is the best home loan for them. In those cases, we make certain assumptions. For example, if you are not exactly well versed and in tune with the economic movements in Singapore, it is recommended that one goes for SIBOR or SOR type home loan. Both of them are pegged to a benchmark is vastly determined by economic conditions, thereby removing the need for the borrower of such loan to monitor the situation every so often. Some find SOR an even better pegged-rate than the other because SOR is linked to US economy that our western friends may have a better understanding of. Classic investment principle applies here, put your money where you know best. For 1st time buyers, it is advised that you go with a stable interest rate package. They are easy to understand and provides more security. In this current economic climate fraught with uncertainties, it may be wise to maintain a certain level of stability when it comes to home loan. This will ensure that your financial portfolio is not overly risky by balancing out the risk you may have in other areas of your life such as career etc. if you are a little savvier with the property market, you can opt for the riskier floating interest rates. Of course, more risk always translates to better rewards. You can consider board rates or even fixed deposit pegged rates. These packages allow you to bail out quickly and switch to another loan package fast, which makes it suitable for someone who follows the market very closely. On top of that, if you have more cash on your hand and seeks some stability of your portfolio, fixed deposit pegged home loan is usually a good bet. If deposit rates go up, you no doubt pay more for your mortgage loan, but you also earn more interest from your savings account. Through this strategy, you hedge your financial risks. One more thing to note before you set off; you also need to get yourself familiar with the various terms that are attached to any home loan package, including things such as your reference rates, lock-in period, reimbursement clauses and so on. Think of it as buying an air ticket and checking if extra luggage allowance is included, or meals are catered and etc. Of course, it is more complicated for home loans. For more information, check out more by reading the fine print for home loans. If you are refinancing your home loan and want to find the best refinancing rates package, there are again another set of guidelines you have to be aware of. Check out our ultimate refinancing guide in this case. Lastly, you may want to know that banks roll out home loan promotions from time to time based on their supply and demand of funds. Hence, it pays to be updated of their interest rates regularly if you are looking to buy/refinance your home soon. Revised daily, the table you see above is about as updated as it can get when it comes to all the home loan packages in Singapore, (sometimes even more so than the published rates of banks themselves.) Be sure to bookmark this page and check out the latest rates in 2018 !! Disclaimer: Every effort has been made to ensure that the information provided is accurate. You must not rely on this information to make a financial or investment decision. Before making any decision, we recommend you consult a professional advisor to take into account your particular objectives, financial situation and individual needs.